Looking for some great word games to unwind with on your iPhone or iPad? Try these gems out! As a writer, I have a deep appreciation for word games. For me and many others, it's a great way to just relax, and put your vast vocabulary to use without sounding like a snob to other people. Plus, maybe we even learn some new words while playing! Either way, if you're a word game fan and looking for some new games to play on your iPhone and iPad, you're in the right spot. Alphabear 2 is a fresh and unique word game that's full of cute, squishy bears. Honestly, what's not to love here? This is a sequel to the original Alphbear that came out in 2015, which proved to be a success. The goal in Alphabear 2 is to spell out words using letters on a puzzle grid. As you use letter tiles that are adjacent to each other, bears appear on the grid. The more letters you use, the bigger the bears get, thus earning you more points at the end of the round. You need to get creative with the words you spell out to be successful in this game! Alphabear 2 is also packed full of wit, charm, and humor with the dialogue for each bear, where they showcase a particular word you spell. And there are a lot of bears to collect, each one having a unique bonus that can help you rack up major points! Anagram lovers will love Typeshift. Usually, you'll want to look for new combinations of words within just one word, but Typeshift presents three to five words stacked together at a time. You'll be shifting columns of letters around to find new combinations of words to spell out, and you should use every letter at least once before moving on to the next puzzle. The game includes a good amount of puzzles for free, but you'll want to unlock more through in-app purchases. Each puzzle pack also comes with its own color theme that looks just as tasty as it sounds. Lettergraf is a combination of several classic word games to create a unique and distinctive experience that will tickle your brain. In Lettergraf, players are presented with letters and then blocks of letters, which can be moved around freely to go with a letter. Then you just tap on the letter block to shift or rotate all letters one to the right, until you create the target word. This is one game where you'll have to think outside the box to solve the hundreds of puzzles. Spelltower is considered one of the classic word games, and it's from the same guy who gave us Typeshift. Think of Spelltower like Tetris, but with words. 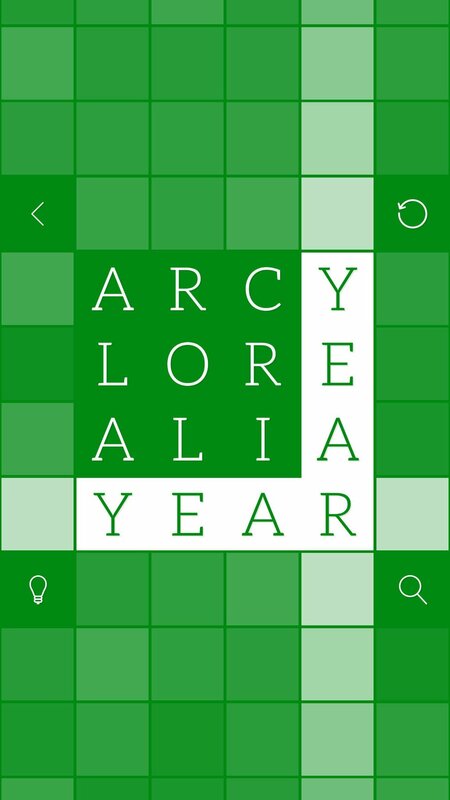 You'll want to select adjacent letter tiles to spell out words and clear the tiles out, and you'll want to spell out as many words as possible before one column reaches the top. Otherwise, it's game over. The more complex the word, the more points you earn! There are a ton of different game modes available in Spelltower, and each one is just as frantic and challenging as the last, except for maybe Zen mode if you just want to relax. This is a game that has been out for a long time, but I would consider it a staple, especially for word game lovers. Words with Friends was super popular a few years ago, and while the trend has died down, it's still a fun game. That's why Zynga released Words with Friends 2, and it's a much better version of the popular social word game that's based on Scrabble. 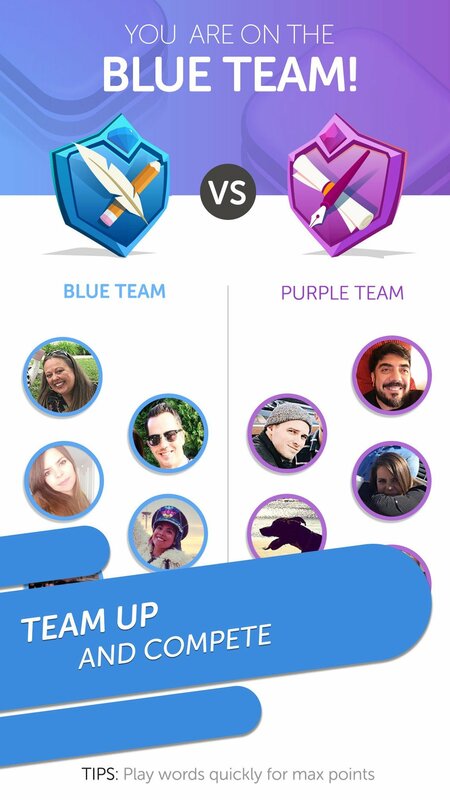 There are several different game modes in Words with Friends 2, such as teams and challenges, adding some much-needed variety to the game. The original one-on-one mode is still available, and you can put your word skills to the test with new Lightning Rounds. Spell out words with your tiles, rack up points, and prove yourself as the ultimate wordsmith around. Another classic that should be on every word game lover's device is Letterpress. 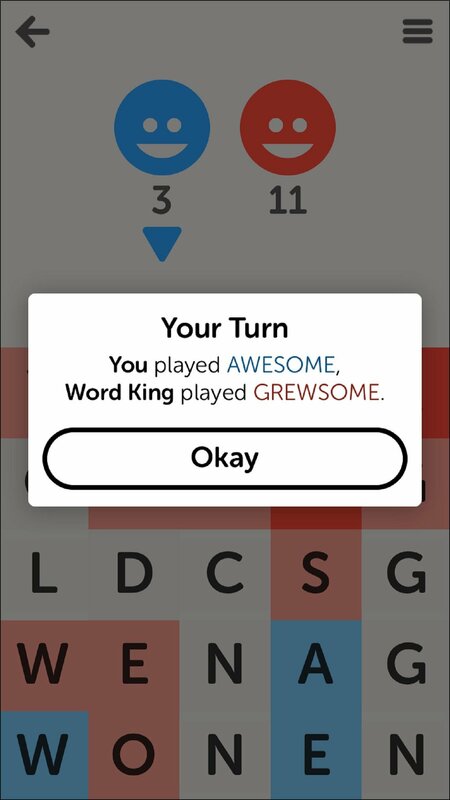 In Letterpress, two players must capture the board by spelling words with the letters on the grid. 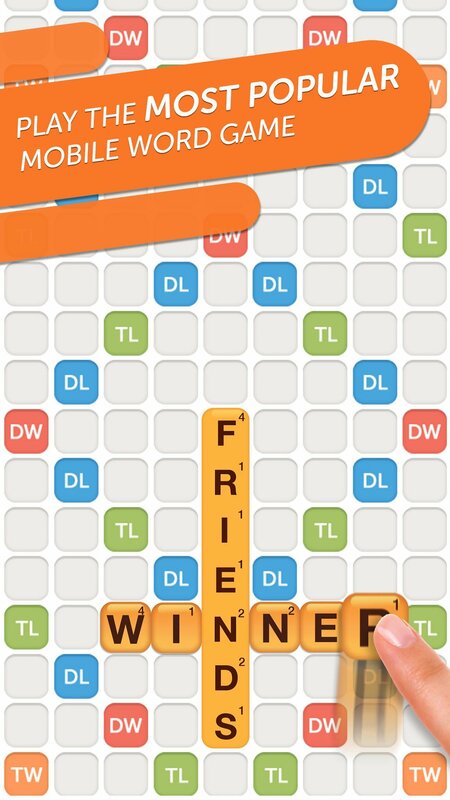 You can use the tiles freely, so they don't have to be adjacent, but you can't reuse a word that the opponent has spelled out. And once all of the letters have been captured, then the player who has the most tiles wins. It's an intense scrimmage between two people, and you can always view the dictionary definition of a word if you're ever curious. Antitype is an interesting one that's all about opposites. Each puzzle features two words that are related to each other, but the letters are jumbled up and it's up to you to decipher them. There are clues to help point you in the right direction. The game mechanic with Antitype is that you must tap on a letter to change it and get the one you want to use, but each tap also changes the other letters in the puzzle. So you'll need to figure out the correct order to tap the letters in. This is one that's all about planning ahead because each of the hundreds of puzzles can be solved. Antitype is free to download but features ads. You can get rid of the ads or get more hints through in-app purchases. Love a challenge? Then Word² is a must. This game features word squares of increasing size as you progress, and each square contains words in pairs that can be read both horizontally and vertically. However, all of the words are scrambled up! So you need to use hints, clues, and logic to decipher all of the puzzles. The word squares start off in 3x3 grids and can go all the way up to 7x7, so if you think it's too easy, just wait until you reach the higher stages! The game is free to download and play, and the in-app purchases are just for more hints and clues if you need them. What are your favorite word games? Word games are always great brain teasers while helping one relax and unwind. These are just a few of our personal favorites, but there are many more out there. What word games are you playing? Let us know in the comments!